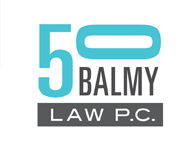 Event Production Law | 50 Balmy Law P.C. event claims evaluation and tendering to insurance carriers. The firm can evaluate event insurance coverage and risks, and bring in experts on emergency medical services, risk and loss prevention, employment practices, and emergency response to terrorist threats or incidents, including coordination with law enforcement.